Died March 14, 2019Jimmy Stringer, 79, of West Branch, passed away March 14, 2019, at Heartland Healthcare Center — Briarwood Manor. Jimmy was born in Monticello, Ky., on March 8, 1940, son of the late Mose and Reada (Troxell) Stringer. He married Bertie Stringer on June 1, 1991, and she preceded him in death Sept. 1, 2001. Jimmy worked as a CPA in Kalamazoo and he loved to fish. 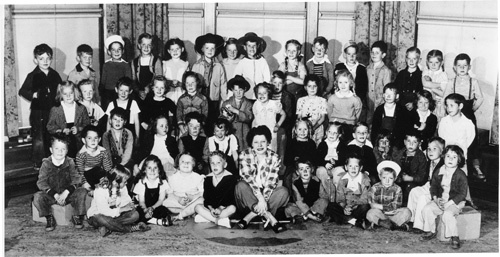 Jimmy is survived by his sister, Barbara (John) Hart; and nephews, John (Jenny) Hart and Jim Hart. 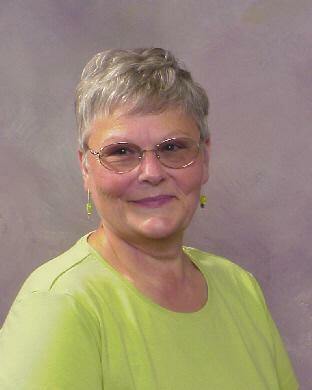 Grace J. Butterfield, age 73, of Columbiaville died September 22, 2014 at Hurley Medical Center. Grace was born March 19, 1941 in Pontiac, the daughter of the late Leon and Myrtle McKinstry. She later married Gerald R. Butterfield on December 28, 1984 in Oxford. She was a lifetime member of the Ladies Auxiliary for the Lapeer County Voiture 1536 40&8. She also was a member of the Lapeer VFW Post 4139, and served as Past President locally and for the district for the Ladies Auxiliary. Grace truly enjoyed volunteering, she also liked to read, watch the butterflies and birds in her garden, and most of all spend time with family and friends. Grace is survived by her husband Gerald, Children: Jeannette ( Tim ) Sloan, Mike Reno, Jack Hodges, Jerry Butterfield, Terry Butterfield, Gary Butterfield, Siblings: Rosemary ( Larry ) Dunnigan, Vern ( Melinda ) Williamson, and Fred Williamson. She is also survived by 10 grandchildren, and 8 great-grandchildren. She was preceded in death by her parents and brother Robert. 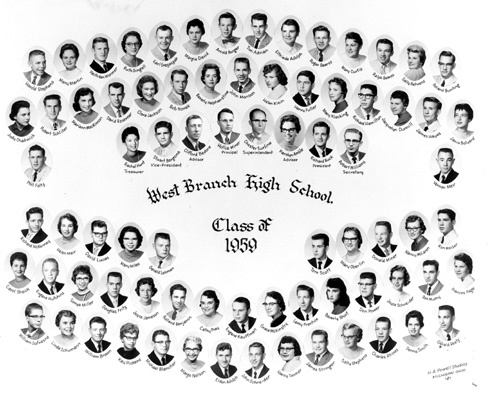 Tom Scott 71, graduated from West Branch High School with the class of 1959. Tom passed away Thursday January 17, 2013 at McLaren- Bay Region with his family at his side following a complications from heart surgery. He was born in Grandville, Michigan on March 31, 1941 to the later Ephriam & Mary (Sharrow) Scott. 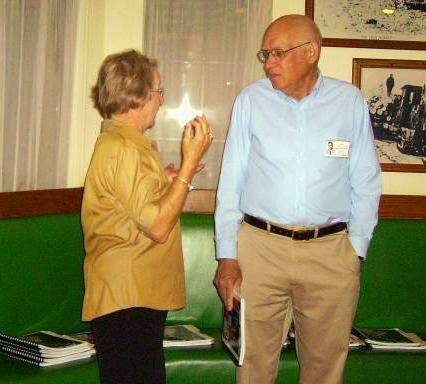 He married the former Bonnie J. Priddy on June 18, 1960 in West Branch, she survives him. Tom was a man that could do anything with his hands, welding, carpentry, farming, and truck driving. He was the owner/operator of Ogemaw Monuments in West Branch and the sexton for the Edwards Township Cemetery. He was an avid hunter, loved being out of doors and hunting with his sons. He is survived by his wife of 52 years and their children Suzanne & Randy Stillwagon, Troy & Bonnie Scott, Jon & Teresa Scott and Ted & Jenifer Scott; grand children Jennifer & Mark Stillwagon, Stevie, Troy, Lucretia, Jason & Jared Breece; Tommy Scott, Gabby, Taylor, Izzy, & Christian Scott; Sophie Frank; Evelyn & William Scott: 7 great grandchildren; Sister Pat & Gerry Munn; 2 brothers David & Ann Scott and Jerry & Cindy Scott; siter in laws Lucille & Hawley Rhew and Gail & Ron Evans. He was predeceased by 2 grand children. 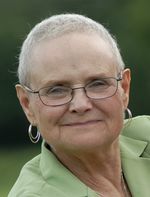 Mary M. Martin Miner (Class of 1959), died Tuesday, June 2, at her West Branch home with her family at her side after a brave fight with ovarian cancer. She was 67. Mary was born Sept. 22, 1941, in Detroit, the daughter of Robert and Katherine Martin (later Morrison). 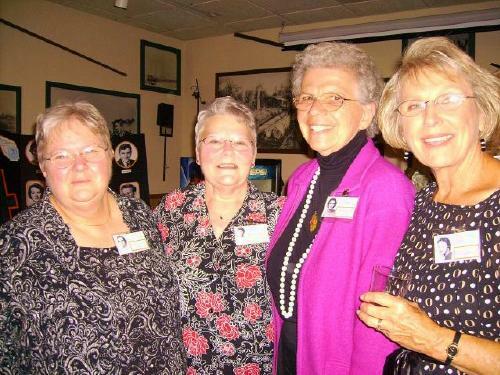 After graduating from West Branch High School in 1959, she attended Albion College for two years before transferring to Michigan State University, which was the start of her life-long loyalty to the Spartans. She married Hollis L. Miner in 1963 and they had three daughters. Mary taught full time off and on for a few years in West Branch and then was a frequent substitute teacher at Ogemaw Heights High School in the 1970s and ’80s. More than anything, Mary loved being a wife and mother and she was darned good at both. She was an avid camper, an inconsistent-yet-determined bowler and was active in Girl Scouts. She was a troop leader, service unit director, Mitten Bay Council board member and Camp Wigwah Day Camp director. Mary also spent several summers exploring the state with her metal detector, finding everything from bottle caps to silver coins to rings. In the 1990s, she started selling her garage-sale treasures on eBay – a pastime she found rewarding in many ways. Mary also was involved in Ogemaw Township government with stints on the Board of Review and the Election Board, and she was a member of the township’s Downtown Development Authority. Mary is survived by three daughters, Betsy Miner-Swartz (Robin) of Lansing, Holly Miner of Petoskey and Amy Covault of Clarkston; and two grandchildren, Madison and Joshua Covault of Clarkston. She also is survived by three brothers, Richard (Dorene) Martin of Midland, Brian (Arlene) Martin of West Branch and Arthur Morrison of San Francisco; and several nieces and nephews. 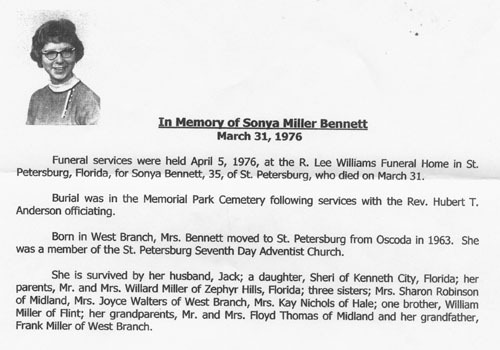 In addition, she is survived by sister-in-law Barbara (Robert) Nicolini, of Clearwater, Fla., and brother-in-law Don (Bonnie) Miner of West Branch. Mary was preceded in death by her husband, Hollis, in 2006, and her parents, Robert Martin in 1953 and Kaye Morrison in 1996. Memorial contributions may be made to Hospice of Helping Hands in West Branch or the First United Methodist Church of West Branch. Henry L. Fuller, 68, of Snover, Michigan passed away Monday, May 4, 2009 at Maricopa Integrated Health in Phoenix, AZ. He was born January 12, 1941 in Alger, Michigan the son of the late Sidney and Dorothy (Yorkey) Fuller. He married Karen Smith of Marlette, Michigan in 1965. 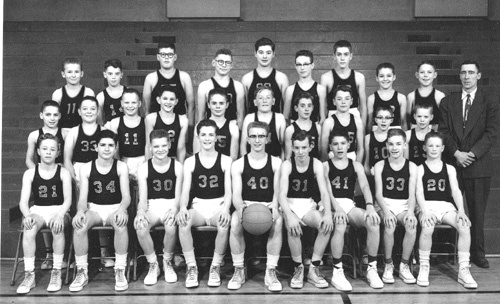 He graduated from West Branch High School in 1959 and then served in the U.S. Army for 2 years. 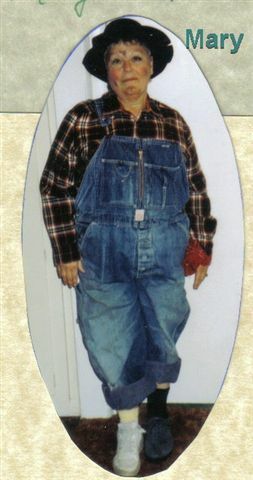 He was an accomplished heating and air conditioning businessman in the Thumb for over 20 years, before retiring in 2001. He and his wife spent the last eight years splitting time between Michigan and Arizona. 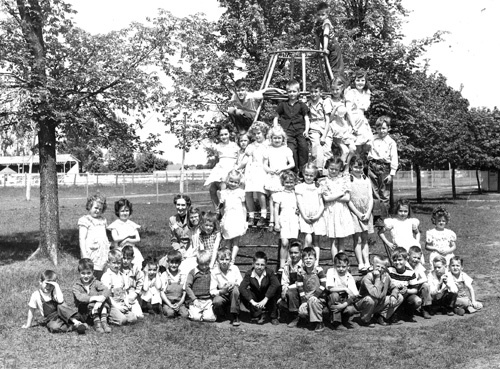 As a member of the Michigan Supreme Travelers RV club he and Karen visited many areas. He especially enjoyed their RV trip to Alaska and his salmon fishing there. He loved to play pranks and tell stories. He was an avid golfer, fly fisherman, and tinkerer. He is survived by his wife Karen, two sons; Mark (Denise) Fuller of Canton, MI and their children Caleb, Rachael, and Ben, and Jeff (Kristin) Fuller of White Lake, MI and their children Marissa, Micah, and Mikayla, one brother; Darrel (Patsy) Fuller of Zephyrhills, FL, one sister; Francis Brick of West Branch, MI. He was preceded in death by siblings Marie, Tom and Wayne. A memorial service will be held Saturday, May 23, 2009 at 11:00 a.m. at First United Methodist Church of Marlette with Rev. Dan Bowman officiating. Visitation will take place at the church immediately prior to the memorial, beginning at 9:30a.m. Memorials may be donated to Heaven Sent Ministries, Marlette, MI, a local ministry that provides food and clothing to those in need. For information regarding arrangements, call the church at 989-635-2075. 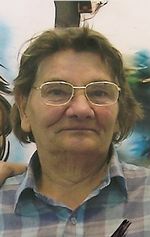 Elthieda G. Adolph, age 69 of West Branch passed away Friday, October 31, 2008 after an extended illness. She had lived in West Branch for all of her life. 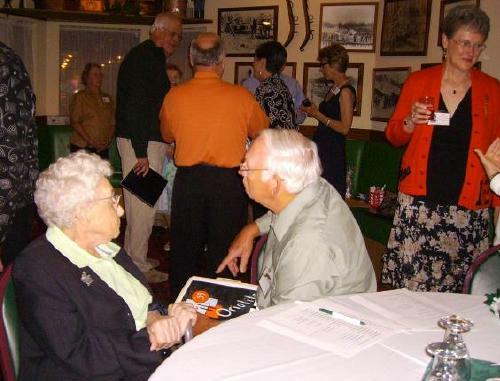 She graduated from West Branch High School in the class of 1959. Elthieda is survived by her niece, April Kennedy. Elder Ed White and Kevin White will officiate with burial following, November 3, at Brookside Cemetery, West Branch. Memorial Contributions may be made to Hospice of Helping Hands, West Branch.